I also have my own perspective after interviewing thousands of Native American patients in the last 4 years. When I counseled them on their diabetes meds as a pharmacist, I routinely asked them if they consumed diet drinks. Many said “yes” to several diet beverages per day and also admitted to poor control over their diabetes using more insulin. Many patients that complained of weight gain and joint pains taking the blood thinner “Coumadin” had also admitted to consuming diet drinks. It is my opinion that the cause of their clotting disorder (deep vein thrombosis, strokes, retinal detachments and pulmonary embolisms) was due to the consumption of aspartame. 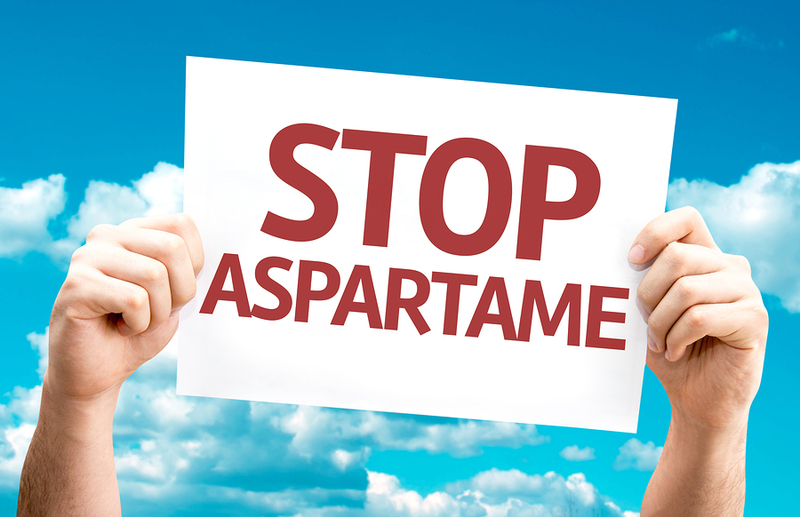 Several patients stated joint pains went away after stopping the use of products with aspartame. There have also been many other articles published about the questionable safety of aspartame and its dubious approval process (60 Minutes; 1996 story by Mike Wallace). To put this information in a nutshell, aspartic acid from aspartame spikes your insulin to make you gain weight, the phenylalanine not meant to hit your brain directly disrupts serotonin in your brain making you crave sweets or cause depression and the methanol (a 1-carbon alcohol) attached to every phenylalanine molecule gets broken down by our metabolism into formaldehyde and formate that may lead to the various health problems discussed. If you choose to read on, you will see what I found in the literature searches regarding aspartame and its safety. Since its approval for use as a food additive in 1981 and for soft drinks in 1983, much controversy has surrounded the artificial sweetener aspartame regarding its safety for human use. Performing a literature search in Medline and Pubmed using the key terms “aspartame,” “human,” and “safety” yields numerous results that all seem to support the stance that aspartame is, in fact, safe. Trusted organizations such as the National Institute of Health (NIH), the National Cancer Institute (NCI) and the American Academy of Pediatrics all support the stance that aspartame is safe for human use, even in pregnant women. So why is this still such a controversial compound? Aspartame has been linked to multiple adverse reactions, the most prevalent including neurological side effects, despite numerous studies, which claim it is safe for human consumption. In animal models, mostly rat and mice, aspartame has been definitively shown to cause harm2, 4, 5,6,7,8. In a 2005 study “Aspartame induces lymphomas and leukemia’s in rats” supported by the Cancer Research Centre, and the European Ramazzini Foundation of Oncology and Environmental Sciences, researchers found that the incidence of lymphomas and leukemia’s was significantly increased with ingestion of aspartame in a dose-related manner. The most common type of lymphoma found was a lympho-immunoblastic lymphoma. They also observed malignant brain tumors in aspartame-fed rats, with no brain tumors occurring in controls2. An examination of the metabolism of aspartame, which is a metabolized into aspartate, phenylalanine, and methanol initially, seems to support evidence for its safety, because it is metabolized into two free amino acids plus methanol, all of which are regular dietary constituents, with methanol being the only seemingly harmful component3. A closer examination of the metabolism reveals quite a different perspective. Animal models are frequently used to extrapolate information into human populations, especially mice and rats because of the genetic similarities and the similarities in the digestive mechanisms found between these animals and people. There is however, a slight difference in the speed that rats and mice metabolize aspartame compared with humans; rats and mice more rapidly convert phenylalanine into tyrosine, resulting in a spike in tyrosine levels. In humans, phenylalanine is not as rapidly converted into tyrosine, resulting in a spike in plasma phenylalanine and subsequently in brain phenylalanine (PHE) levels2. This problem of differences in metabolism can be overcome by increasing the aspartame dose in the animal model to overwhelm the enzyme that converts PHE into tyrosine, thereby creating a situation in the animal model that mirrors the PHE plasma levels in humans. This dose increase to mimic human metabolism is reflected in most animal-model studies2,5,7,8. The normal human source of phenylalanine is protein. When a person ingests aspartame, it can elevate their plasma PHE levels up to three-fold8. A person’s plasma PHE levels are not elevated when they eat dietary sources of PHE such as protein because the PHE is mixed in with other large, neutrally charged amino acids similar to PHE such as valine, leucine, isoleucine and tryptophan. These amino acids compete for the same transporter in the capillaries of the brain, therefore creating a situation where multiple large amino acids are all crossing the blood-brain barrier and the level of PHE as a ratio to other amino acids is normal8. In the case of aspartame, where the metabolic breakdown of a single molecule yields 50% PHE, 40% aspartate and 10% methanol there are no other large, neutral amino acids competing for this transport molecule, causing a spike in PHE levels within the brain itself 5,8. Within the brain’s dopaminergic nigrostriatal cells, the elevation of the PHE can competitively inhibit enzymes including tyrosine hydroxylase and therefore cause a decrease in neurotransmitter synthesis8. There is also a decrease in the brain’s catecholamine synthesis and serotonin synthesis because the amino acid precursors are competitively inhibited from crossing the blood-brain barrier by the elevation in PHE. This problem is further compounded by combining aspartame with a protein deficient, carbohydrate rich meal, because the insulin release caused by the carbohydrates will facilitate uptake of the other amino acids into skeletal muscle, causing the PHE plasma levels to rise even higher8. Blocking neurotransmitter release or competitively inhibiting neurotransmitter binding is associated with a heightened sensitivity to seizures8. Interestingly, seizures account for 4% of the adverse effects caused by aspartame reported to the FDA in 1988, just five years after the addition of aspartame to soft drinks. 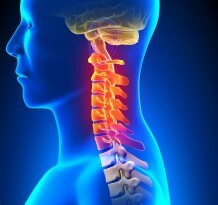 Neurological effects totaled 47.6% of all the adverse reactions reported to the FDA, with headache being the most prevalent (19.3%) and dizziness/balance problems totaling 8.4%4. In addition to the detrimental effects of spiking PHE levels in the brain, the methanol component in the aspartame molecule is metabolized into formaldehyde and then into formate. The toxicity related to methanol ingestion is directly linked to the accumulation of the metabolite formate. Humans are more susceptible to methanol poisoning than mice or rats because they have a much lower concentration of folate in their livers and formate is metabolized through the tetra-hydroflolate pathway5. Another disturbing characteristic of aspartame is that it releases free methanol when it reaches a heat of greater than 86° F, such as when making jello, or if it is improperly stored. The excess methanol released leads to the formation of superoxide, peroxyl and hydroxly radicals5. This damages the body through oxidative stress and accelerates the aging process. According to the 1996 study “Increasing brain tumor rates: is there a link to aspartame?” researchers found that between 1975 and 1992 the incidence of brain tumors was on the rise and increased in “two distinct phases9.” The first is a slight increase that the researchers attribute to improved diagnostic technologies. The second increase is a greater shift and is trending toward increased malignancy. The scientists compared potential factors that might be implicated in the sharp increase in brain tumor occurrence and malignancy. They found that aspartame was introduced into the food market several years before the rapid increase9. The evidence indicates that aspartame should be with used extreme caution. So why are there so many conflicting scientific studies? One study may have the answer; Dr. RG Walton wrote an article, “Survey of Aspartame Studies: Correlation of Outcome and Funding Sources.” His findings were extremely disturbing and enlightening. 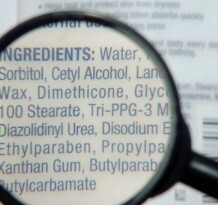 He found that out of 527 citations relating to aspartame, 165 pertained to human safety. Of the 165 studies, 74 were funded by the aspartame industry and ninety-one were non-industry funded. None of the industry-funded studies identified an adverse reaction to aspartame. Out of the 91 non-industry funded studies, only seven found aspartame safe for use. Of this seven, six were funded by the FDA and one was a literature review reflecting industry-funded studies10. This disturbing correlation calls into question the trustworthiness of the scientific peer review-process and its susceptibility to corruption and politics, and the FDA as well. Dr. Walton also states that in response to his analysis, Nutrasweet released a bibliography detailing some 269 studies that supposedly prove the safety of aspartame10. 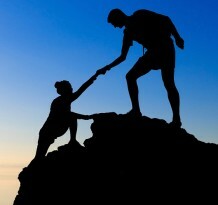 Dr. Walton provides a copy of the bibliography, and upon analysis, many of the citations are actually duplicates and many others do not fulfill the criteria for publication in a scientific, peer-reviewed journal. There is obvious bias and political power affecting the outcomes of many of these studies, and therefore obscuring the scientific process designed to obtain the truth in these studies. The appropriate course of action for healthcare providers to the existing evidence is to caution patients about the dangers of excess sugar consumption and the dangers of artificial sweeteners as well. It is my opinion that aspartame should be avoided and not even be consumed by chewing a piece of gum. Bradstock MK, Serdula MK, Marks JS, Barnard RJ, Crane NT, Remington PL, et al. Evaluation of Reactions to food additives: the aspartame experience. Am J of Clinical Nutrition. 1986 Mar; 43: 464-69. Soffritti M, Belpoggi F, Esposti DD, Lambertini L. Aspartame induces lymphomas and leukemias in rats. Eur J Oncol.1995; 10(2): 107-16. Ranney RE, Oppermann JA, Muldoon E. Comparative Metabolism of Aspartame in Experimental Animals and Humans. Journal of Toxicology and Environmental Health. 1976; 2: 441-51. Tollefson L. Monitoring Adverse Reactions to Food Additives in the U.S. Food and Drug Administration. Regular Toxicology and Pharmacology. 1988; 8(4): 438-46. Iyyaswamy A, Rathinasamy S. Effect of chronic exposure to aspartame on oxidative stress in brain discrete regions of albino rats. J Biosci. 2012 Sept; 37(4): 679-88. Martins MRI, Azoubel R. Effects of aspartame on fetal kidney: A morphometric and stereological study.Int.J. Morphol. 2007; 25(4): 689-94. Soffritti M, Belpoggi F, Esposti DD, Lambertini L, Tibaldi E, Rigano A. First Experimental Demonstration of the Multipotential Carcinogenic Effects of Aspartame Administered in the Feed to Sprague-Dawley Rats. Environmental Health Perspectives. 2006 Mar; 114(3): 379-85. Maher T, Wurtman RJ. Possible Neurologic Effects of Aspartame, A Widely Used Food Additive. Environmental Health Perspectives. 1987; 75: 53-57. Olney JW, Farber NB, Spitznagel E, Robins LN. Increasing brain tumor rates: is there a link to aspartame? J Neuropathol Exp Neurol. 1996 Nov;55(11):1115-23. Walton RG. Survey of Aspartame Studies: Correlation of Outcome and Funding Sources. The Center for Behavioral Medicine Forum. 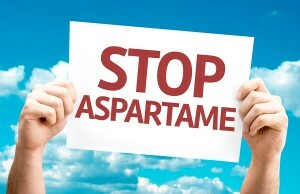 Retrieved from http://dorway.com/aspartame-the-bad-news-repost/peer-reviewed-aspartame-studies/ on 01 October 2013.